Water and flood damage is one of the most devastating disasters that can affect your home. And while you may think it's safe to attempt cleanup by yourself, DIY flood restoration often ends in more damage to your property simply from inexperience and lack of the correct tools. Food cleanup is best handled by a professional. Though you may be tempted to do a DIY water remediation job in lieu of calling a professional, the unfortunate reality is that you probably don't have the necessary expertise to do a safe clean up. Flood and water damage can be very complicated to restore. There are a lot of factors that go into making the most effective restoration, from knowing where the water came from, whether the water is clean or contaminated, and what tools will be best to use to dry it out. Much of this is well beyond the scope of most homeowners' skill. Without proper proficiency in flood restoration and equipment, you could end up making the damage to your home worse. At the end of the day, it's a smart idea to call a professional right off the bat. DIY techniques are usually a big saver of time and money, but trying these experimental approaches could be disastrous in a serious water damage situation. Not only can it result in damage to your home, but you could also cause injuries to yourself. Hiring a water restoration expert that uses state-the-art equipment is a safer and more thorough option. This way, you can ensure that all water and moisture will be removed, with no further risk to you or the home. To add insult to injury, water damage isn't just tough to clean up; it's also a very expensive process. Restoration can cost anywhere between a few hundred dollars to a few thousand depending on how severe the damage is. If your home has been affected by water or flood, you're required to file an insurance claim to compensate for the damage done. There's a chance that your insurance may not cover the cost of restoration if you do the job yourself, but many restoration professionals work with your homeowners' insurance to help with the paperwork needed to file the claim and cover the repair cost. From the time your home floods, a ticking clock begins to count down. Within 48-72 hours, mold can begin to grow throughout the home whether it's clean or contaminated water. That means you want to have the structure dried out as fast as possible to a specific moisture content level to be safe from that mold growth. 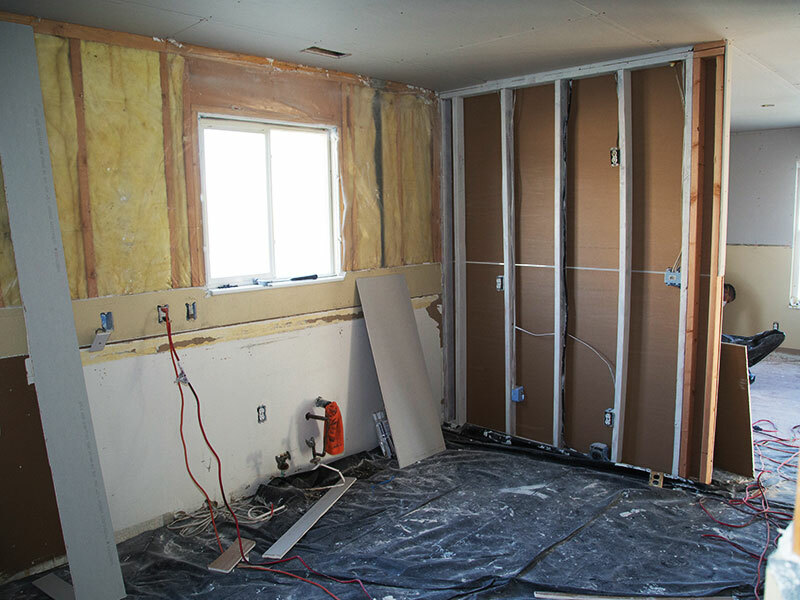 A professional restoration company can have the water damaged areas dried after just a few hours of being onsite, and can also spray down those areas with a mold inhibitor. This kind of speed is crucial and probably wouldn't be able to be achieved on your own. It's always possible that you could do the job correctly yourself, but there's an even bigger chance that a DIY job will just lead to an even further damaged home and an expensive mold infestation. Hiring professionals that will properly clean, dry, and disinfect your home will save you time and money in the long run. Do you have any questions or concerns? Disaster Professionals offers 24/7 flood cleanup and disaster response experts who can answer any questions you may have. We're happy to help!